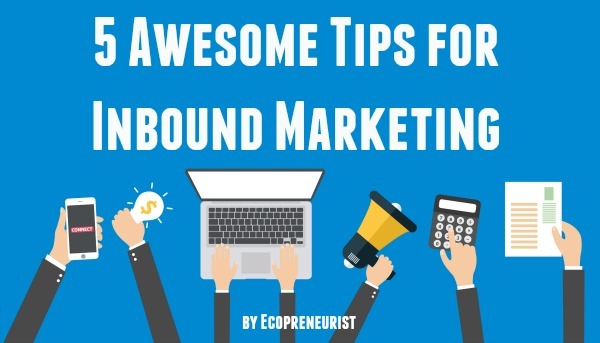 Inbound marketing allows you to generate leads from people that are already looking for you online. For example, if you are selling a personal chef service in San Francisco, you could spend a million hours outreaching to all the potential clients in the city, or you could focus your efforts on inbound marketing, so that when people search online for ‘personal chef services in San Francisco’ your website finds them. They have found the service that they are looking for and you have yourself a warm lead. To get people to find you online, content building is the beginning. For years, our clients have relied on us to help them create long-term search value with sponsored content. HubSpot has a great article that we’ve used for years about why blog posts are the new ad unit, and these are the key tenets we find to be continuously true, whether you’re paying for advertorial posts with our network or others, or building your own archive on your company blog. 1. Blog posts are naturally optimized for organic search – and longer lasting! In the business of blogs, content is truly king. “A high-quality blog post that includes relevant keywords will naturally get indexed in search engines, giving you another chance to rank for relevant keywords for your business and, thus, get found. [Creating] blog content that organically gets found in search is much longer lasting and far more cost effective than a expiring ad unit — especially if your marketing budget is small,” writes HubSpot. As people find your article months and years after it was first published, so too will they find the social share buttons. This gives your post the potential to ‘pop’ weeks, months, or years after it first goes live. Add as many social share buttons as you can. Always include the big ones– Facebook, Reddit, Twitter, Instagram, Pinterest, LinkedIn, Google+, but allow for sharing on all others to maximize your reach. WordPress, the platform our whole company uses, often includes a button that includes about 50 social sharing sites so all your readers can share where they like . 3. Blog posts are hosts to other forms of media. For our sponsored content, we allow clients to share images and videos that help express their brand. Not only does this make the post more interesting, it increases the likelihood of sharing. For an extra bonus, skip the stock photos and create a unique image, graphic or meme that will have long-term appeal. Banner ads can be kept in some digital archive, but who wants to see outdated banner ads? Creating content for your brand on an ongoing basis is key to building your reputation, improving your search ranking, and improving your visibility on the web. Check out this post by Seth Godin, who explains why it’s so important to have a backlist or archive of your posts. “A backlist is a cumulative body of work (in this case, all the blog posts a brand has written) that forever lives on in people’s bookmarks, search engine results, and favorites lists and continues to provide value (in a marketer’s case, traffic, leads, and thought leadership) over time. Do you think anyone would find value in a collection of old online ads? Perhaps an advertising archaeologist — but certainly not your customers,” says HubSpot.